Sensei Hoover started taking Martial Art at the age of seven at Newton Martial Arts(N.M.A). She continued training for three years before she decided to take a break from training. At age twelve she decided to come back and continue training. "The next four years were tough, I had several injuries occur and was discouraged. I owe it all to every black belt and student who helped improved me little by little and pushed me to achieve my goals." At the age of sixteen she achieved her 1st degree black belt at C.M.A.A. 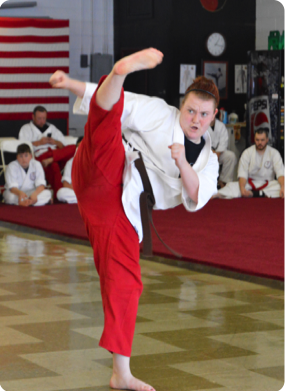 She plans to help other black belts teach and hopes to help others achieve their goals.